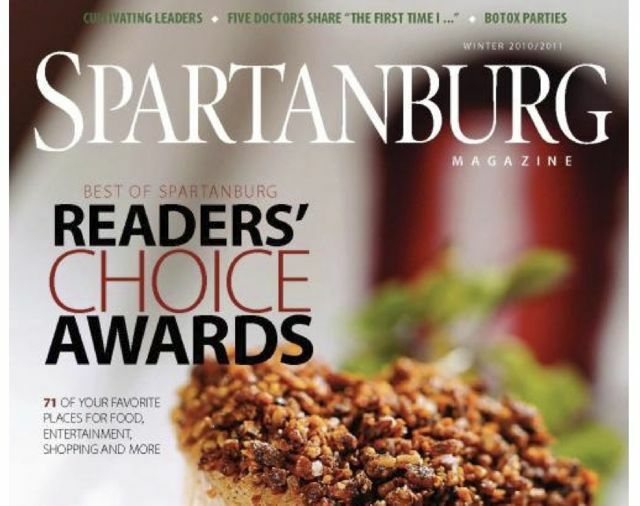 Spartanburg Magazine is a great resource for our area and an enjoyable read. Editor Jeff Zehr and staff cover everything from the best “Dishes and Drinks” in Spartanburg to special features like the one on our beloved Tryon Lanier Library to the latest news in arts, healthcare and more. The photography is great and the content is right-on for readers in the upstate SC and neighboring areas. Jeff and his photographer came to learn more about a guy they had heard about who builds guitars in Tryon. 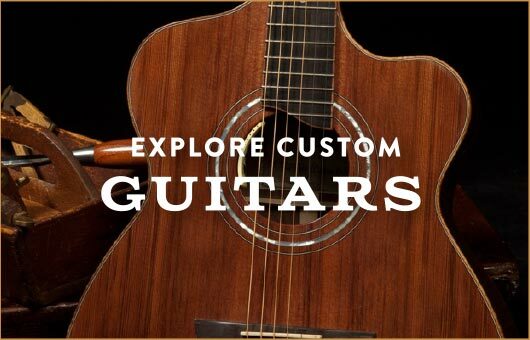 The interview was fun and we even got to hear Jeff (quite a great guitarist) play a few tunes on Jay’s guitars. 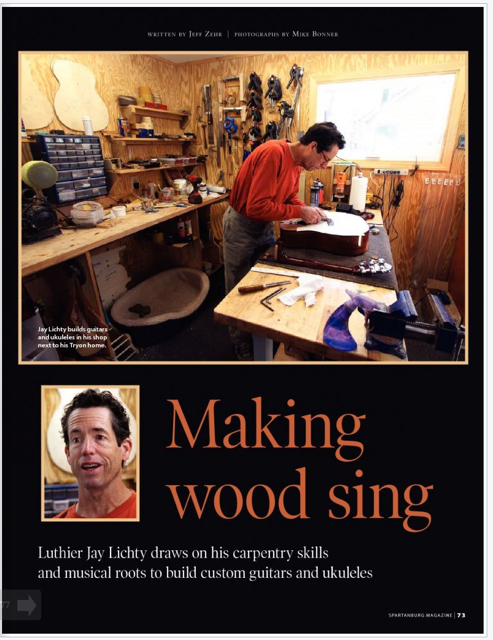 We look forward to the upcoming feature on Lichty Guitars and will post more news as it is available.